Please check back later for more on this topic. Francis Peyre Porcher was born at Ophir Plantation in St. John’s, Berkeley County, South Carolina on December 14, 1824 to Dr. William and Isabella Sarah Peyre Porcher. Through his mother's side, he was a descendant of the well-known English botanist, Thomas Walter author of Flora Caroliniana, the first catalog of the flowering plants of South Carolina published in 1788. Porcher graduated from the South Carolina College (now the University of South Carolina) in 1844 after which he enrolled in the Medical College of the State of South Carolina. He graduated with first honors, out of a class of seventy-six, in 1847 and his thesis, A Medico-Botanical Catalogue of the Plants and Ferns of St. John’s, Berkeley, South Carolina, was published later that same year by the faculty of the Medical College. After graduation Porcher spent two years traveling and studying medicine in Europe. Upon his return to Charleston, he entered practice and in 1852 with Dr. E. Belin Flagg opened the Charleston Preparatory Medical School of the Medical College and lectured on materia medica and therapeutics. During his long affiliation with the Medical College, Porcher served as professor of clinical medicine and chair of materia medica, which position he held from 1874 to 1891. He also served as attending physician at the Marine Hospital in Charleston from 1855 to 1860. 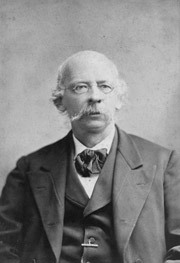 Porcher was editor of the Charleston Medical Journal and Review and served as president of the South Carolina Medical Association (1871), the Medical Society of South Carolina (1874), and as vice-president of the American Medical Association (1880). With fellow Medical College alumnus Julian J. Chisolm (1830-1903), Porcher opened a hospital specifically for the care of plantation slaves. At the outbreak of the Civil War, Porcher joined the Confederate Army as a surgeon to South Carolina’s Holcombe Legion and was then transferred to the Naval Hospital at Norfolk, Virginia in March 1862. He finished his Confederate service in the South Carolina Hospital at Petersburg, Virginia. When the war ended, Porcher returned to Charleston and resumed his academic positions at the Medical College. He was on the staff of the City Hospital from 1866 to 1887 and again served a three-year term as editor for the Charleston Medical Journal and Review. As his professional career thrived, he remained a prolific contributor to the medical literature and wrote on a variety of topics including yellow fever, diseases of the heart, typhoid, and malaria. Porcher received many honors during his career including an LL.D. of the University of South Carolina (1891); he was one of the founders of the American College of Physicians, was one of the committee of ten U.S. physicians selected to attend the International Medical Congress in Berlin (1890), and was chairman of the section on general medicine at the Pan American Congress of 1892. After suffering a paralytic stroke, Porcher died at his home, 38 Meeting Street, Charleston, on November 19, 1895.